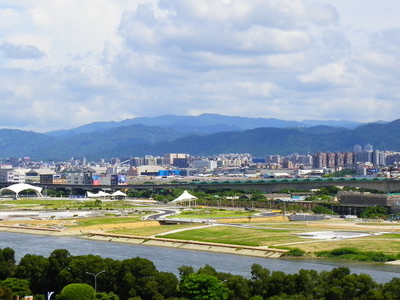 The Dajia Riverside Park (Chinese: 大佳河濱公園; pinyin: Dàjiā Hébīn Gōngyuán) is a park located in Zhongshan District, Taipei, Republic of China, near the Keelung River. 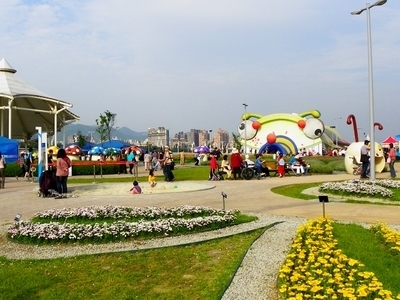 Featured in the nineteenth season of the reality television game show The Amazing Race, it was also one of the venues of the Taipei International Flora Exposition. Here's the our members favorite photos of "City Parks near Zhongshan". Upload your photo of Dajia Riverside Park!